This entry was posted in Chobham, poet, poetic forms, poetry, Poetry workshops, poets, Surrey, writer, writing and tagged Arts, Chobham poet, poet, poetry in the garden, poetry workshops, poetry. writer, summer of poetry, Surrey poet, writer, writing, writing workshops. Bookmark the permalink. That would be great Polly…I will email you. it would be lovely to meet up. 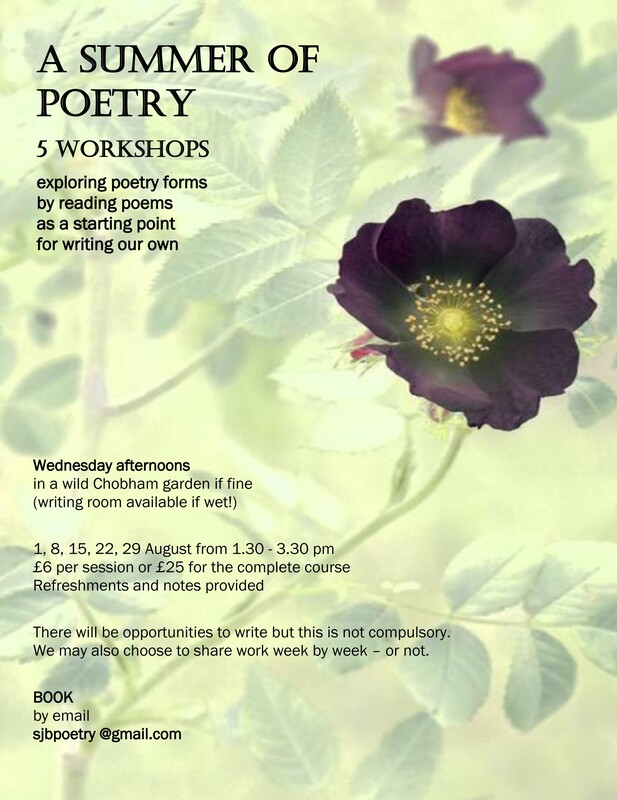 I really enjoyed these workshops last summer – they improved my efforts at different forms of poetry no end – so count me in again this August.